Hello Friends, Apply Online For Gauhati High Court Recruitment 2018 for 42 Posts. High Court of Gauhati has recently issued notification for filling up 42 Grade III vacancy. Those candidates are interested and eligible for HC Gauhati Grade III Jobs may apply through online mode only. Online Application Form is available from 15th September 2018. The last date of registration for Gauhati High Court Vacancy 2018 is 27th September 2018. Rest of details like eligibility criteria, application fees, selection fees and how to apply GHC Jobs is mention on below segment. High Court of Gauhati is inviting online application form for recruitment of 42 Grade III Vacancy. This is a great opportunity for candidates those are searching Gauhati High Court Jobs 2018. Applicants must qualify preliminary examination and main examination and viva voce. Applicants can fill Gauhati High Court Grade III Recruitment 2018 application form either here or official site. Rest of details you require to read the full article properly. AM I Fulfill Eligibility Criteria of GHC Stenographer Grade II & III Recruitment? Candidates who want to apply online for GHC Jobs 2018 must fulfill eligibility criteria. Applicants must ensure that they are eligible for given vacancy. It includes details of education qualification and age limit. Gauhati High Court Recruitment 2018 eligibility criteria is mention below. Applicant must hold Bachelor Degree in law from the recognized university established by Law in India. Candidate must qualify preliminary examination and main examination. Furthermore, details check GHC Jobs Notification 2018, which is mention below. Those candidates are belonging to the Unreserved category the maximum age is required 38 years. While SC/ST candidates should not be more than 43 years. Applicants selection will be made on the basis of written examination and personal interview. First successfully enrolled candidates will be called for Preliminary examination. After that qualified candidates are eligible to attend the main examination. Those candidates qualified the main examination also will call for an interview. Gauhati High Court Grade III Recruitment final selection will make on the basis of marks secured in the main examination and viva voce. Applicants must check Examination scheme of GHC Vacancy 2018. Those candidates get 60% marks in the preliminary examination are eligible to participate in the main examination. Applicants must be obtained aggregate 60% marks in the main examination subject to securing at least 45% marks on Paper I,II,III & IV and minimum 35% marks in paper V. Then they will call for viva voce process. For more details check Gauhati High Court Recruitment Notification, which is mention below. Those candidates qualified all stage and appoint for Grade III jobs will receive an attractive salary. They will receive their salary as per pay scale Rs. 27700/- 770-33, 090-920-40-450-1080-44770/- per month. Interested and eligible candidates can fill the online application form. here in below section, we mention some of the instructions to fill up Gauhati High Court Vacancy 2018. The last date of submission online application form is 27.09.2018. Now follow the GHC Recruitment 2018 online application form steps. Firstly, all applicants visit official site ghconline.gov.in. Download advertisement and then read it carefully. 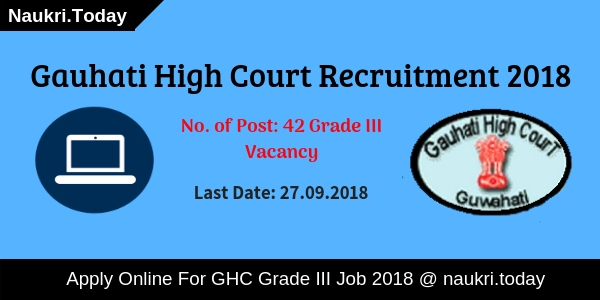 Click on the link apply online for Gauhati High Court Grade III Recruitment 2018. Enter your personal and education information. Upload signature and photograph on your Gauhati High Court Recruitment 2018. Recheck your application form and then submit it carefully. 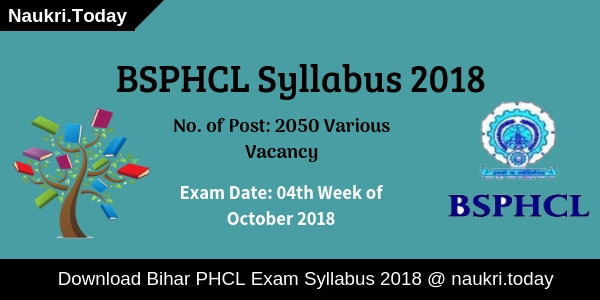 Conclusion: Gauhati High Court Recruitment 2018 for 42 Grade III Vacancy. Apply online from 15.09.2018 to 27.09.2018. Date of preliminary examination and main examination will notify very soon. Are you searching for Stenographer vacancies??? If yes, then here is good news for you. Gauhati High Court Recruitment 2018 for 97 Stenographer II & III vacancies. Applicants who are interested and eligible also may apply through online mode. The GHC Jobs online form is available from 17.03.2018. You can fill Gauhati High Court Vacancy 2018 online form before on 31.03.2018. Furthermore information about GHC Stenographer Recruitment you must read the full article. Gauhati High Court is inviting online application for filling up 97 Steno post. Applicants who are looking GHC Stenographer Vacancy, this is a good opportunity for them. If you are going to submit the Gauhati High Court Job form, must check eligibility criteria here. Full information of educational qualification, age limit & selection process of is mention on below section. You can collect all information about GHC Recruitment from here. Applicants who are interested in Gauhati High Court Jobs must eligible for it. if applicants are not eligible for GHC Recruitment, they are unable to apply online for Steno Gr. II & III Post. 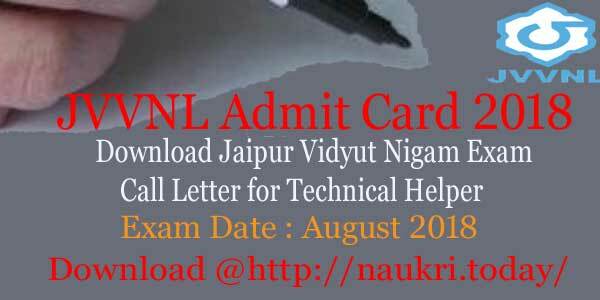 Furthermore, information of eligibility conditions is mention on below section. Applicants must have Graduation Degree from UGC recognized university. For Gauhati High Court Recruitment candidates should possess a Diploma/Certificate in Stenography/shorthand from any institute. Applicants also have knowledge of Assamese language. Furthermore, check GHC Notification mention on below link. For GHC Recruitment application minimum age should be 18 years. Category wise maximum age criteria is mention below. Upper age relaxation also mentions on below section. General & OBC aspirants need to pay Rs. 340/-. While SC/ST candidates have to pay Rs. 170/-. Fees can be made at any branch of State Bank of India. Applicants fees payment mode is cash only. No other transaction accept for Gauhati High Court Stenographer Jobs. Selection of the candidates will be made according to their performance in written test, Stenographer and Viva-voce. First applicants attend Gauhati High Court Recruitment written test. The test will comprise 70 marks. The duration of the written test will be 90 minutes. After that, they will be called for the stenographer test, which has 100 marks. After than 10 marks viva voce organized for selected candidates. Candidates who are interested in GHC Jobs and also fulfill eligibility criteria may apply online. Gauhati High Court Stenographer Vacancy Online Form direct link is available below. You can also follow some given below steps to fill GHC Online Form. First of all, go to the official site ghconline.gov.in. Then go to “Click here to apply online for Gauhati High Court Stenographer Recruitment”. The first register to you with entering required details like personal. The system will generate registration code on your mail id. Then again visit the official site and click on the login button to fill GHC Recruitment Form. Enter your registration code and DOB. You can update your personal details to click on update data button. Upload your photograph and signature in your Gauhati High Court Recruitment form. Then submit your application form and then take print out of it. Also, take challan form hard copy and then submit your fees. Conclusion : Gauhati High Court Recruitment 2018 for 97 Stenographer Grade II & III Posts. Interested and eligible candidates can fill online form from 17.03.2018. The last date of submission GHC Recruitment form is 31.03.2018.